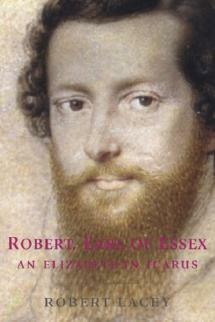 At the end of the 16th century, Robert Devereux, 2nd Earl of Essex, embodied the brilliance of the Elizabethan age. He was England’s shining star through his romance with Elizabeth, the Faery Queen of poetic myth. But the love of Essex and Elizabeth was no springtime idyll, and it ended cruelly. Elizabeth was left defenceless against her only remaining suitor, old age, while Essex went to his execution in 1601. ‘I was ever sorry that your lordship should fly with waxen wings, doubting Icarus fortune’, wrote Francis Bacon to his former master, Robert Devereux. A gripping romance – and a convincing picture of politics and social life at the court of the first Queen Elizabeth. Acclaimed as “the biography of the year” in the Observer in 1971.